Henry Louis Gates Jr. attends The African Americans: Many Rivers to Cross New York series premiere at the Paris Theater Oct. 16, 2013, in New York City. Just as the U.S. has announced a resumption of diplomatic relations with Cuba, there will now be a way for Americans to learn more about the history of Afro-Cubans and other descendants of Africa across the Caribbean and Latin America. 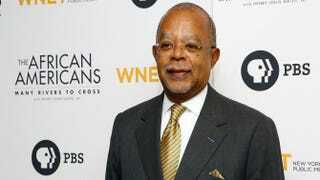 In a press release, PBS announced that it is releasing a new set on DVD called The African Americans: Many Rivers to Cross & Black in Latin America With Henry Louis Gates, Jr. The DVD will be available Jan. 20, 2015. Professor Gates, The Root’s editor-in-chief, introduces viewers to the faces and voices of the descendants of Africans in six Latin American countries: Brazil, Cuba, the Dominican Republic, Haiti, Mexico and Peru. The PBS series The African Americans: Many Rivers to Cross explores the evolution of the African-American people, as well as the multiplicity of cultural institutions, political strategies, and religious and social perspectives they developed—forging their own history, culture and society against unimaginable odds. The series, which just won an Alfred I. duPont-Columbia University Award, has also won an Emmy Award for Outstanding Historical Programming—Long Form, the Peabody Award and an NAACP Image Award. Black in Latin America is about the African influence on Latin America. The series examines how indigenous, African and European people came together to create the rich cultures of Latin America and the Caribbean. Latin America is often associated with music, monuments and sun, but each of the six countries featured in Black in Latin America—Haiti, the Dominican Republic, Cuba, Brazil, Mexico and Peru—has a secret history. On his journey, Professor Gates discovers that behind a shared legacy of colonialism and slavery are vivid stories and people marked by African roots. It was also announced today that Professor Gates has received an honorary doctorate from the University of Cape Town in South Africa.